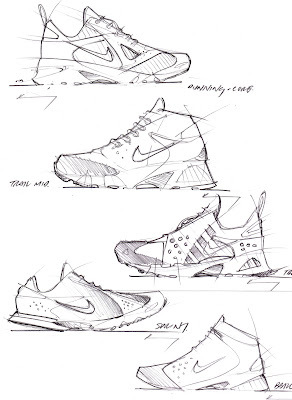 Once discussion is about designing a shoe for a specific category, and how to express a product DNA through proportion, pattern and form to fit. One trick I find in designing any type of shoes for a particular category is first finding out what "defines" shoes in that category. Already lots of the things have been mentioned (proportion, pattern, materials, colors, collar height, toe cap shapes, etc.). Once you learn the often repeated shapes, forms, etc. then it is that much easier to use these in new ways, redefine common elements and mix new with old. 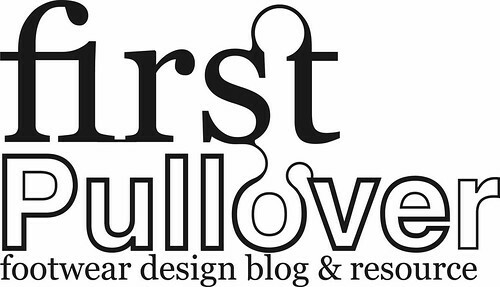 One "rule" i usually guide new designers with, I call "3 new, 3 familiar". I suggest that if you use 3 common things in a shoe tied to that category (such as proportion, construction, color, a toe cap, materials, etc. ), and mix it with 3 "new" things, then the shoe will be balanced between understandable/commercial and different/innovative. Too much familiar and the design is boring and doesnt stand out, and too much new and the design is too challenging and doesnt relate to the consumer or product category. As a start, I find this is a good way to get a feeling for the "rules" and mix creativity with reality. Too often, I find younger footwear designers have this balance off, and go either too far out (anit-gravity, magic fastener, space boot looking designs,) or too safe (looks like everything already out there). Finding this balance is important I believe to channel your creativity into useable, fresh, portfolio work. 1. take an existing design from any type of shoe. 2. redraw this shoe to fit in different categories (ie. running, basketball, trail, court, etc.) changing the pattern as little as possible but still making the new design fit to the category. start this exercise with just linework. Its more difficult if you dont use color. Doing this, you will quickly find out the things that can make any design "feel" right to the product category. A good way to decode a product category and product DNA. above is an example of this exercise based on a design by ak47celtics from the footwear forum.